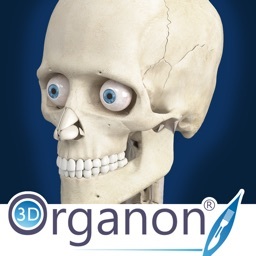 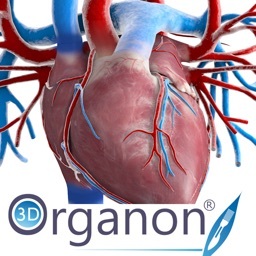 3D Organon Anatomy – Brain and Nervous System is a feature-rich interactive neuroanatomy atlas enhanced with quality anatomy descriptions and texts with frequently encountered clinical correlations. 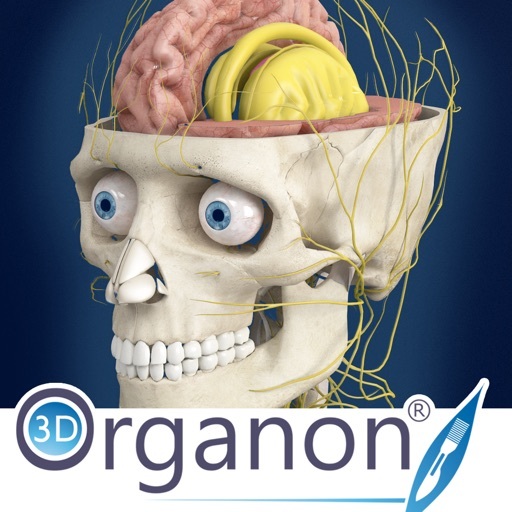 Learn neuroanatomy with thousands of realistic anatomical models/structures. 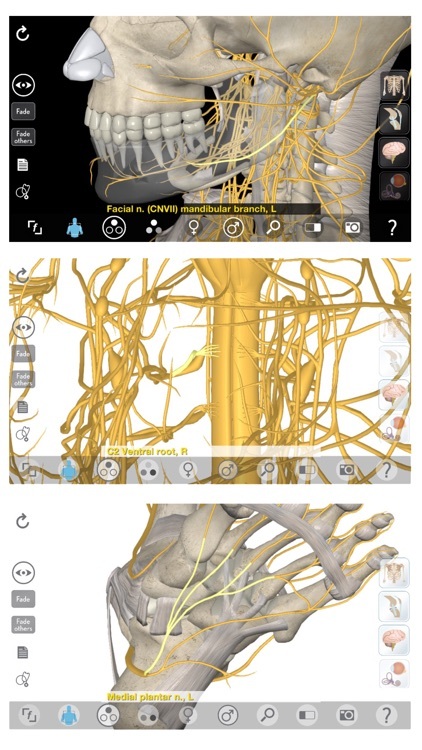 An all-in-one solution for learning clinical, topographic and systems-based anatomy. 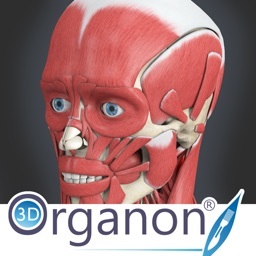 The 3D anatomy models can add important cognitive input for understanding the spatial relationship between anatomical structures and landmarks leading to an increased retention of knowledge. 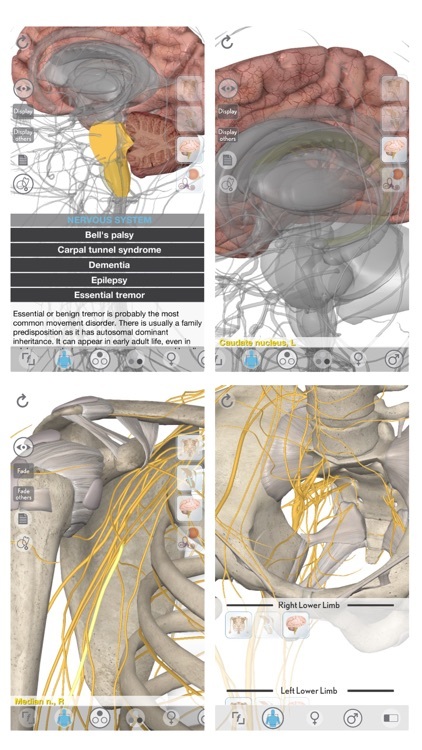 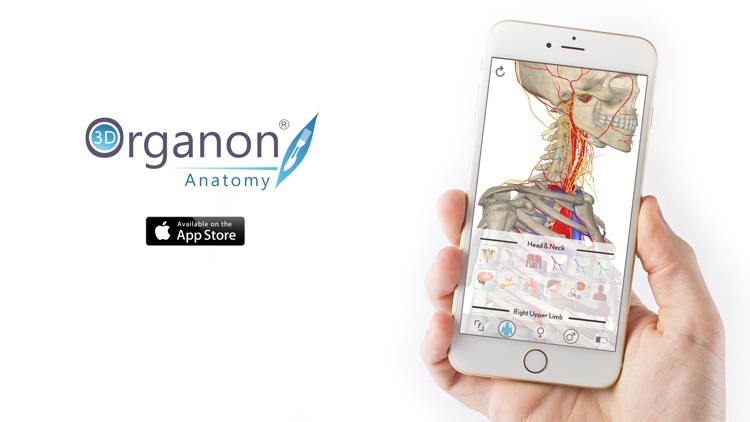 The app includes skeletal system and connective tissues as a bonus. 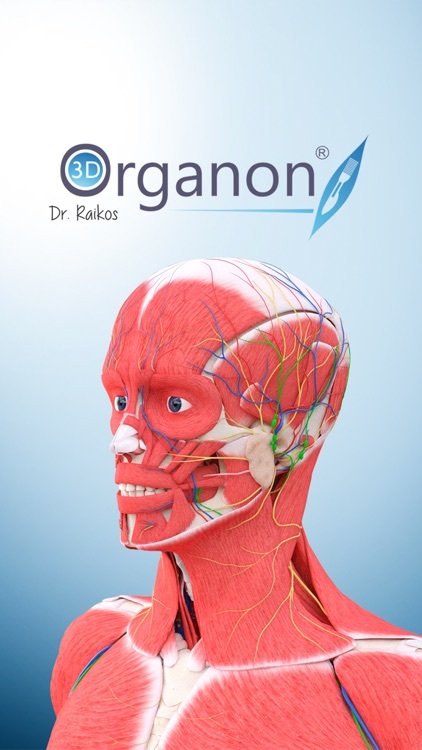 + Included structures: Brain cortex, Cerebrum, Cerebellum, Brainstem, Ventricles, Basal nuclei, Meninges, Cranial nerves, Spinal Cord, Peripheral nerves, Plexi (cervical, brachial, lumbar, sacral), and Sensory organs (eye, middle, and inner ear). 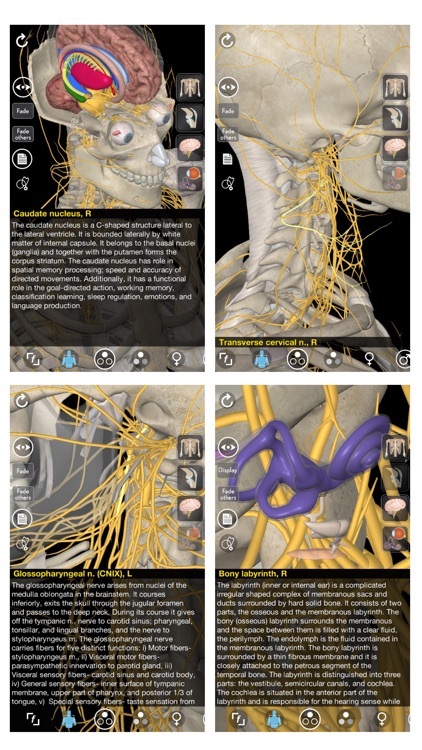 + Bonus body systems: Skeletal system, Connective system (Ligaments, Articular capsules, Bursae, Cartilages, and other connective tissues). 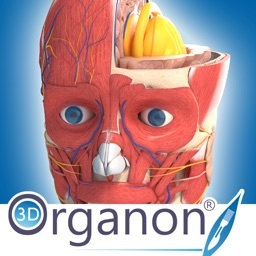 + Beautiful symmetry between designed organs and structures makes learning easy and pleasant.